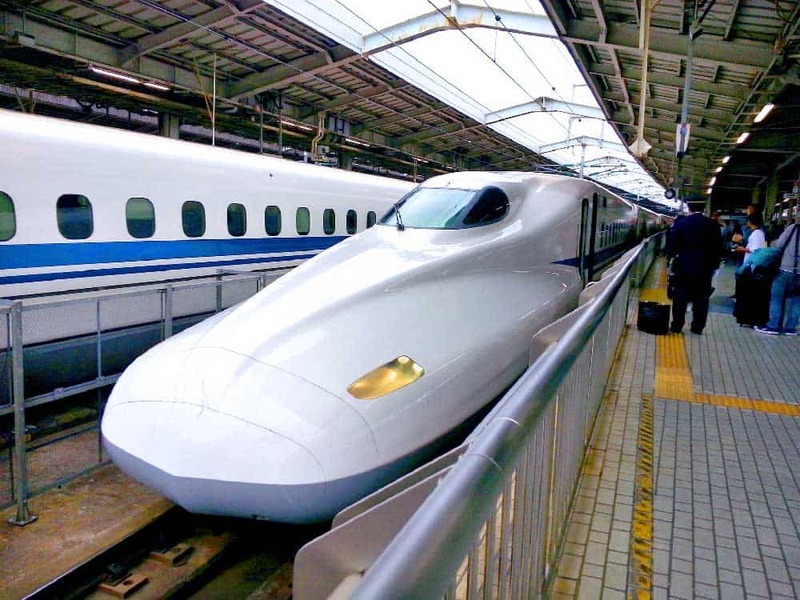 The rail system in Japan is one of world’s best, driven by their awe-inspiring shinkansen (bullet trains). Debuting in 1964, the shinkansen was well ahead of its time, scooting travellers between Tokyo and Osaka at 200 miles a hour decades before high-speed trains were even a gleam in the eye of Western engineers. And things have only gotten better. It should come as no surprise that train travel in Japan doesn’t necessarily come cheap—or easy. Fortunately, there’s a solution. The Japan Rail Pass (JR Pass) gives you a ton of freedom and flexibility for travelling by train in Japan. But, like other rail passes around the world, you’re probably asking yourself: Is the Japan Rail Pass worth it? 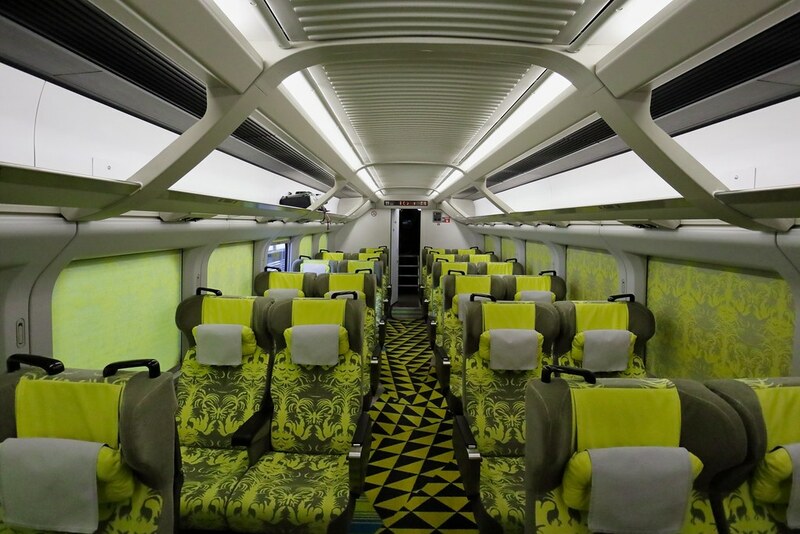 The Japan Rail Pass: Ordinary Cars or Green Cars? 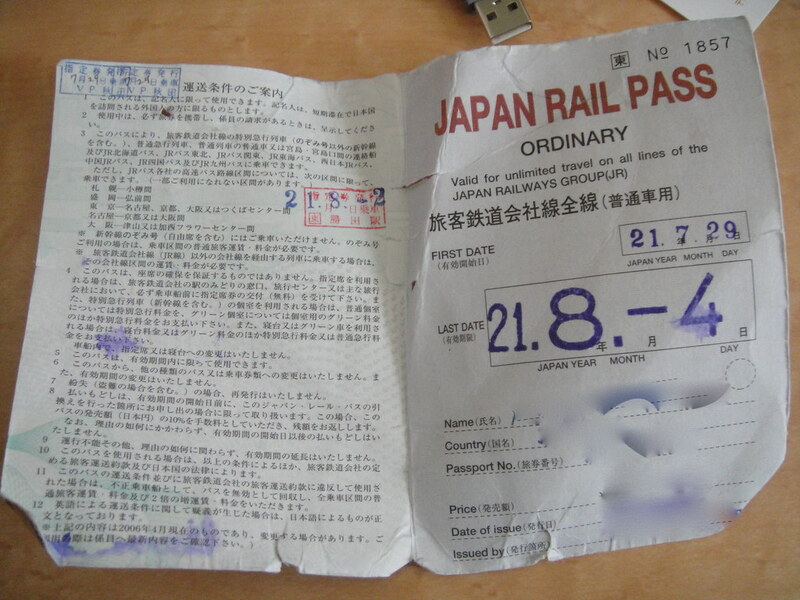 JR Pass benefits: Why buy a Japan Rail Pass? When doesn’t the Japan Rail Pass pay off? The verdict: Is the Japan Rail Pass worth it? Ready to travel around Japan by rail? The Japan Rail Pass could be your new best travel companion! It’s only for foreigners on short-term visitor visas. In fact, you’re normally only able to purchase the pass outside of Japan (although there’s a current arrangement in place until March 31, 2019 where it’s possible to purchase at select major airports and stations in Japan—albeit it’s far more expensive than arranging beforehand). It’s not valid on all trains in Japan. Although most JR routes are covered, certain trains including the Nozomi and Mizuho are excluded. Other routes that operate partially on private railway lines may also require a supplementary fee. Most metropolitan routes (other than JR lines) are also excluded. Passes can’t be transferred. Your pass is yours and yours alone. Once you’ve ordered it under your name, no switcheroos are possible. There’s always a bit of confusion when you first start shopping to buy a Japan Rail Pass. It doesn’t work quite in the same way you would purchase, let’s say, plane tickets or reserve a tour. The Japan Rail Pass is only available to foreign visitors on a tourism visa, and, as such, needs to be purchased BEFORE you arrive in Japan. When buying a Japan Rail Pass from an authorized vendor, you won’t receive the pass, but a JR Pass Exchange Order (MCO). This MCO is what you’ll need to pick up your rail pass when you arrive in Japan. Email confirmation. Once your payment has gone through, you’ll receive an electronic confirmation of your purchases. This is NOT your Exchange Order, and cannot be used to get your rail pass in Japan. Receive your Exchange Order (MCO) by post. This is the physical document you’ll need to bring with you to Japan. Make sure all your information is correct as it must match up with the travel documents (i.e. passport) shown at time of exchange. Exchange your MCO for a Japan Rail Pass on arrival. Once you arrive in Japan, you’ll need to take your exchange order to a JR exchange office (found in major airports and train stations in Japan and at JR offices in the cities) to receive your JR Pass. This must be done within 90 days of the date on your MCO. Pick a validity date. When you’re receiving your Japan Rail Pass at the exchange office, you’ll need to pick your first day of travel. It does not have to match the date of issue. Nozomi trains: These shinkansen, some of the fastest in Japan, ply the Tokaido/Sanyo lines between Tokyo and Osaka and Fukuoka on Kyushu. There are no upgrades to these trains or even discounts with the JR Pass. If you board one, you’ll have to pay the (expensive) full fare. A good alternative for the same routes is the Hikari trains. They’re only a tad slower although they don’t depart quite as frequently. Mizuho trains: These shinkansen are fastest trains along the Sanyo/Kyushu lines between Osaka and Fukuoka and Kagoshima. Like the Nozomi, if you board a Mizuho, you’ll need to pay full fare. An alternative for these routes is the Sakura trains, which are still pleasantly quick and more frequent than the Mizuho trains. Non-JR trains: In addition to Japan Railways, there are several private companies that operate trains in Japan. The Japan Rail Pass will not cover these routes and you’ll have to pay full price. 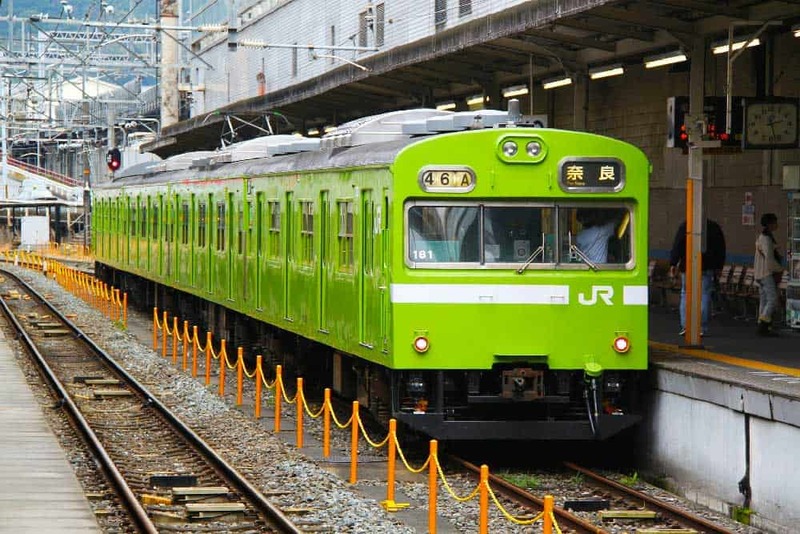 JR trains on private tracks: Additionally, you’ll find nine JR routes that use other companies’ tracks. On these routes, you’ll have to pay a supplementary fee to cover travel through the private section. At about $15 for the most expensive one though, it’s not exactly a deal-breaker. Other than the Tokyo Waterfront Area Rapid Transit, most of these routes operate in the far reaches of Japan and are unlikely to affect the average Japan Rail Pass holder. 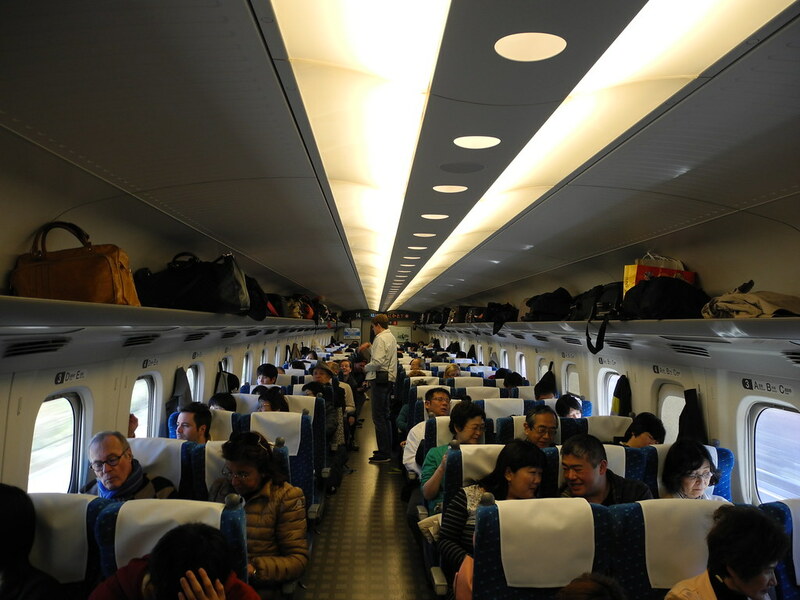 Special berths on night trains: Seat reservations are free with the Japan Rail Pass, but certain special seats such as berths on night trains will require a supplementary fee. Tokyo Monorail: If you’re travelling into Haneda Airport (which is honestly WAY more convenient than Narita Airport), you can use your JR Pass to get from the terminal into central Tokyo. JR Local Buses: Several local lines around the country are covered including routes in Hokkaido, Tohoku, Kanto, Tokai, Shikoku and Kyushu. Express (highway) JR buses are excluded. 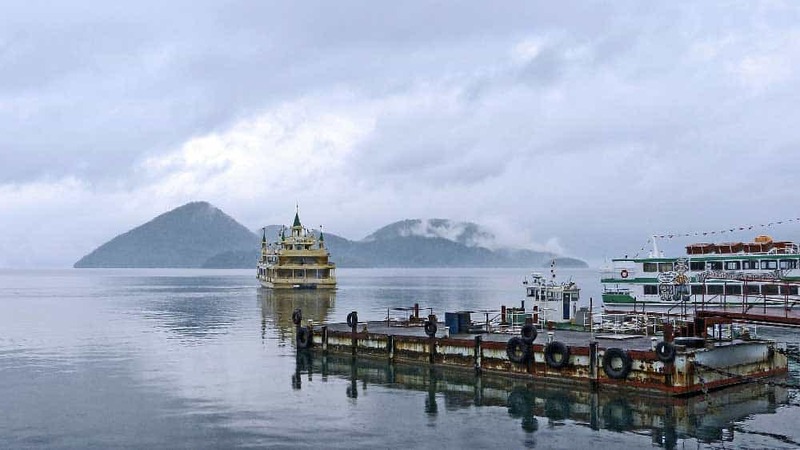 JR-West Miyajima Ferry: Operating between Miyajimaguchi and Miyajima, this scenic ferry is is included and is one of the best day trips from Hiroshima (just 26 minutes away from the Miyajimaguchi ferry terminal on the Sanyo line). Aoimori Railway: The Japan Rail Pass is valid for travel on local and rapid trains between Hachinohe, Aomori, and Noheji stations. IR Ishikawa Railway: Valid for travel only between Kanazawa and Tsubata on local and limited express trains. Intermediate stations are not included. Ainokaze Toyama Railway: The Japan Rail Pass includes travel on local trains between only Toyama and Takaoka stations non-stop. Hotel discounts: There’s a handful of hotel chains around Japan affiliated with Japan Railways. If you arriving into a city by train, many of these are conveniently located around the main stations. 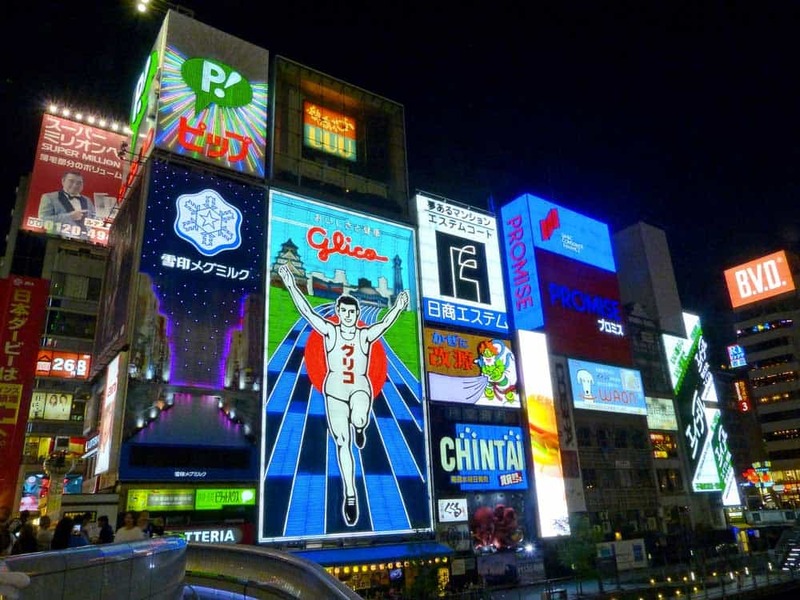 Brands include Nikko, Metropolitan, Granvia, Mets, JR Hotel Clement, and Associa. One choice that you’ll notice when you’re shopping for your Japan Rail Pass is between Ordinary Cars and more expensive Green Cars. So, what’s the difference? If you’re familiar with European rail passes, Ordinary Cars resemble second-class cabins while Green Cars are roughly equivalent to first-class cabins. They’re far more comfortable and spacious. In the green cars, you’ll get more leg room and wider seats. On longer train journeys, you’ll be thanking yourself for this. They’re quieter. The more expensive price point means that fewer people travel in green cars than ordinary ones. You’ll likely find that there’s more headspace to contemplate life or get some relaxing reading done to kill the time. You can choose your seat. Reservations are required so you won’t be stuck with that crappy aisle seat should the train fill up before you hop on. They’re more budget-friendly. At about 30% less than the Green Car, you’ll save money by buying an Ordinary Car pass. They’re more flexible. Since you don’t have to reserve your seats in advance, you can queue up at the platform, hop onto the train, find a seat, and get movin’ right away. It can save you some serious coin. If you’re planning any big journeys in Japan, the JR Pass will probably help you keep a few extra yen in your pocket. That’s more sushi and ramen, my friend. Yum, yum! It’s super convenient. Especially with the Ordinary Car pass, you can create your travel plans on the fly. For fly-by-the-seat-of-your-pants travellers, this thing is a god-send. No more lining up, fumbling with yen or credit cards to the tune of a massive language barrier. The speed of trains in Japan is a sight to behold. Look, even if you’re not one of those kids who sat in awe at trains (no, I don’t really get it either), watching the shinkansen in action is mind-blowing. Even better is when you’re on it. Zooming to your next destination without having to endure long bus rides or get pat down by a part-time sumo wrestler at airport security makes for some seriously relaxing travel. It’s not just valid on trains. 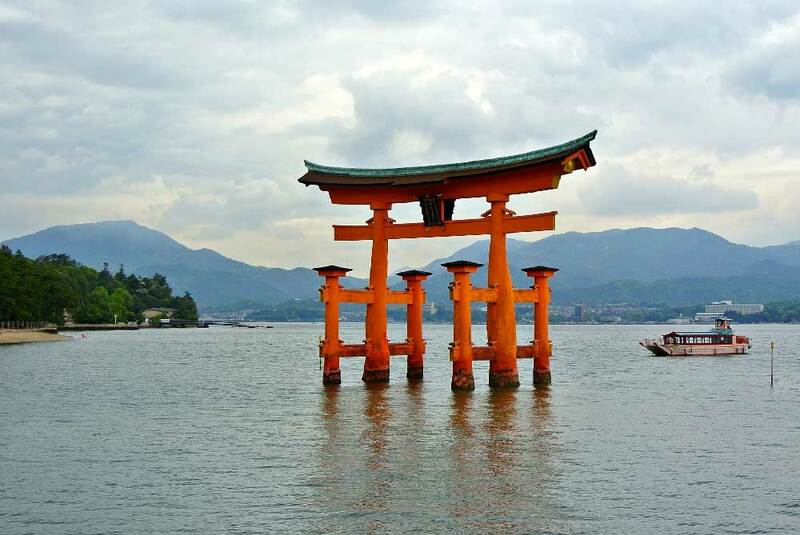 With the Japan Rail Pass, you’re also able to travel on certain short-haul JR buses & ferries. Plus, you can get discounts at a bunch of swanky hotels around Japan. That’s a ton of value, dudes & dudettes. Okay, enough dilly-dallying. Let’s get to the heart of the matter here, and answer the question you’ve been waiting for: Will the Japan Rail Pass save you money? Let’s say you’re flying in and out of Tokyo, and are debating whether to buy a 7-Day Japan Rail Pass at the official rate of ¥29,110. You plan to spend half your trip around Tokyo and the other half in the Kansai region around Kyoto and Osaka. A trip from Narita Airport into Tokyo on the Narita Express costs ¥3,020. 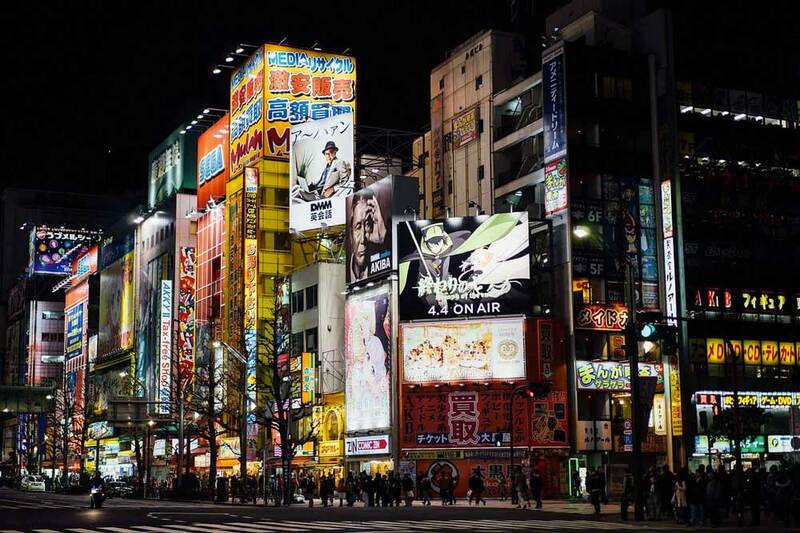 After spending a couple days in Tokyo, you buy a one-way ticket to Osaka running you ¥13,620. From Osaka, the shinkansen to Kyoto runs ¥1,420. To get back to Tokyo on the Hikari train, you’re looking at ¥13,800. So, how are we doing here? So far, the train journeys would total ¥31,860, already ¥2,750 ahead of the cost of the Japan Rail Pass. Throw in just a few side trips and you’ll really start to see the savings rack up! Nara: A 50-minute journey on the Yamatoji Rapid Service (¥1,600 return) that’s one of the best day trips from Osaka or Kyoto. Nikko: One of the best day trips from Tokyo on the JR Tohoku Shinkansen and JR Nikko Line (¥10,000 return). Kamakura: A quick 55-minute trip on the JR Yokosuka Line (¥1840 return). If you manage to fit all of those in—although that might be a little ambitious for most travellers with just 7-days— you’d save an extra ¥16,190 ($150)! Not bad for a little pass. Generally, if you’re planning on undertaking at least one longer-haul return shinkansen trip plus another train trip or two, you’ll be ahead of the game. But there are, of course, some situations where the Japan Rail Pass won’t save you money. The easiest way to buy a Japan Rail Pass is from an licensed online retailer. Looking for a simple and convenient way to buy your pass? I’d suggest buying your Japan Rail Pass online from Viator. They offer FedEx delivery of the Exchange Order to most countries including FREE delivery to the United States. 7-day, 14-day, and 21-day Japan Rail Passes are available. When most travellers talk about the Japan Rail Pass, they’re referring to the rail pass that gives you unlimited rides nationwide. There’s actually far more available than that! Depending on where your trip in Japan takes you, there’s a handful of cheaper regional passes that might suit the bill. If you’re planning a smaller trip like one week in Hokkaido or Kyushu, for example, the full Japan Rail Pass might be overkill! JR Kansai WIDE Area Pass: Covers JR Sanyo Shinkansen, Express Train, Rapid Services and local trains in Kansai including Osaka, Kyoto, Nara, Kobe, and Kinosaki. JR-West Kansai Rail Pass: Valid on Kansai-Airport Express, Rapid Service, and local JR-West trains between the major cities of Kansai (Osaka, Kyoto, Kobe, Nara). JR East Pass (Tohoku Area): Covers local, limited express, and express JR-East trains. Destinations include Tokyo, Aomori, Nikko, Sendai and Akita. JR Kyushu Rail Pass: Includes unlimited travel on shinkansen and limited express trains on the island of Kyushu. Coverage area includes Hakata, Nagasaki, Miyazaki, and Kagoshima. JR Hokkaido Rail Pass: Valid on shinkansen, limited express, ordinary express, local/rapid trains, and buses operated by JR Hokkaido. Areas covered include Sapporo, Hakodate, Otaru, and and Asahikawa. JR All Shikoku Rail Pass: A pass that includes unlimited travel throughout all four Shikoku prefectures. Destinations include Takamatsu, Matsuyama, Tokushima, and Kochi. Final answer? For travellers who plan to cover large distances in Japan on their itinerary, buying the Japan Rail Pass is a no-brainer. You’ll not only save a ton of dough but will enjoy the convenience of avoiding long ticket queues, language barriers, and other unforeseeable mishaps.